I. Fundamentals. 1. Introduction to Psychology, Religion & Spirituality. 1.1. Introduction. 1.2. Basic Concepts: Religion and Spirituality. 1.3. Religion and Spirituality Today. 1.4. Psychological Approaches to Religion and Spirituality. 1.5. Religious and Theological Responses. 1.6. Current Research and Approaches. 1.7. Conclusion and a Look Ahead.2. Science, Religion and Psychology. 2.1. Philosophical Concepts and Issues. 2.2. Early Modern Views of Science and Religion. 2.3. The Rise of Classical Positivism. 2.4. Logical Positivism. 2.5. Contemporary Issues in Science and Religion. 2.6. Conclusion.3. Religious Traditions. 3.1. Hinduism. 3.2. Buddhism. 3.3. Christianity. 3.4. Conclusion.II. Dialogue—Past, Present, and Future.4. Phenomenological Approaches. 4.1. Introduction. 4.2. William James. 4.3. Perennial and Universalist Views. 4.4. Constructivism and Responses. 4.5. Conversion. 4.6. Religious Perspectives. 4.7. Conclusion.5. Psychodynamic and Relational Approaches. 5.1. Freud: Master of Suspicion. 5.2. Jung and Archetypal Religion. 5.3. Erik Ericson. 5.4. Object Relations Approaches. 5.5. Conclusion.6. Contemporary Approaches and Debates. 6.1. Neurobiological Approaches to Religion. 6.2. Evolutionary Psychology and Religion. 6.3. Postmodern Perspectives, Psychology, and Religion. 6.4. Conclusion.III. Human Development.7. Fundamentals of Human Development, Religion and Spirituality. 7.1. Basic Issues in Developmental Therapy. 7.2. Religious Models of Spiritual Development. 7.3. Early Genetic Theories of Religious Development. 7.4. Cognitive-Structuralist Theories of Development. 7.5. Integrative Approaches to Religious Development. 7.6. Conclusion.8. Religion and Development in Childhood and Adolescence. 8.1. Religion and Religious Socialization in Childhood. 8.2. Attachment and Religion in Children and Adults. 8.3. God Image and Representation. 8.4. Adolescent Description. 8.5. Identity, Development,Gender and Religion. 8.6. Conclusion.9. Religion, Spirituality and Development in Adulthood. 9.1. Issues in Adult Development Research. 9.2. Young Adult and Midlife Development. 9.3. Mechanisms of Stability and Change. 9.4. Religion and Spirituality in Older Adult. 9.5. Conclusion.IV. Application.10. Religion, Spirituality and Physical Health. 10.1. Scientific Approaches to Religion and Health. 10.2. Religion, Health, and Coping. 10.3. Religious Perspectives on Health. 10.4. Collaborative Approaches to Health. 10.5. Conclusion.11. Religion, Spirituality and Mental Health. 11.1. Psychological Models of Mental Health. 11.2. Spiritual and Religious Models of Mental Health. 11.3. Psychological and Spiritual Views of Specific Problems. 11.4. Religion and Spirituality in Mental Health Treatment. 11.5. Conclusion.12. Practices and Religious Communities. 12.1. Religious and Spiritual Practices in Community. 12.2. Religious Self-understandings of Community. 12.3. Psychological Perspectives on Religious Communities. 12.4. Religious Practices in Community. 12.5. Problems of Religious Communities. 12.6. Conclusion.13. Individual Religious and Spiritual Practices. 13.1. Religious and Spiritual Practices: Prayer and Meditation. 13.2. Early Christian and Orthodox Prayer and Ascetic Practice. 13.3. Prayer and the Western Contemplative Tradition. 13.4. Christian Protestant and Modern Views of Prayer. 13.5. Meditation: Eastern Perspectives. 13.6. Meditation: Psychological Perspectives. 13.7. Conclusion.14. Helping Relationships: Counseling and Spiritual Growth. 14.1. Religious Approaches to Guidance and Helping. 14.2. Spiritual and Religious Issues in Psychotherapy. 14.3. New Religious Approaches to Psychotherapy. 14.4. Conclusion.15. Looking Back. 15.1: Lessons from Dialogue. 15.2: Approaches to Dialogue. 15.3: Barriers to Dialogue. 15.4: Prospects and Directions for Dialogue. Professor James M. Nelson (B.A. Eastern Washington University, M.Div. Fuller Theological Seminary, M.S. & Ph.D. Washington State University) is a clinical psychologist and Associate Professor of Psychology at Valparaiso University. He has been a faculty member at Valparaiso since 1987 and has served as director of graduate counseling programs and chair of the psychology department. In 1990 he began a major research project with colleagues in China, focusing on the study of cultural differences in depression and personality. In addition to this research, Dr. Nelson's background includes two stints as Director of the VU Hangzhou China program and a year as a visiting scholar in the National Research Center for Asian-American Mental Health at the University of California, Los Angeles. Last fall he lead the first VU group visit to Tibet. He teaches courses in cross-cultural psychology and the comparative psychology of Christianity and Buddhism. 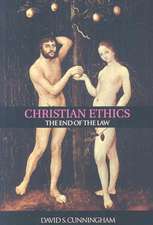 Discusses non-Western religious traditions in addition to Christianity. Balances theoretical literature with empirical research on each topic. 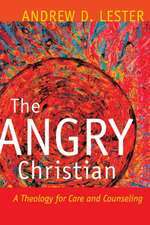 Reviews contemporary research and debates in psychology and religion. Examines developmental approaches to religious and spiritual growth. Provides a variety of practical applications. Includes review questions, exercises, and other student materials. 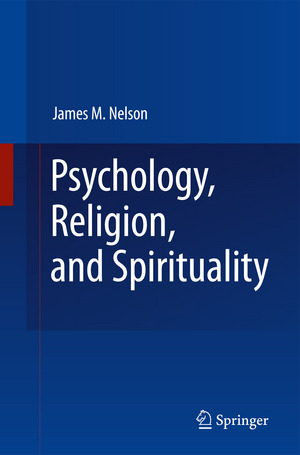 These are valuable perspectives for graduate or undergraduate courses in the psychology of religion, and a rich resource for graduate courses in psychology and counseling. 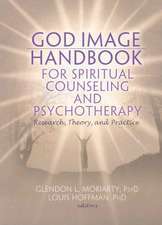 In addition, Psychology, Religion, and Spirituality makes an inviting text for seminary courses in spiritual and pastoral counseling.